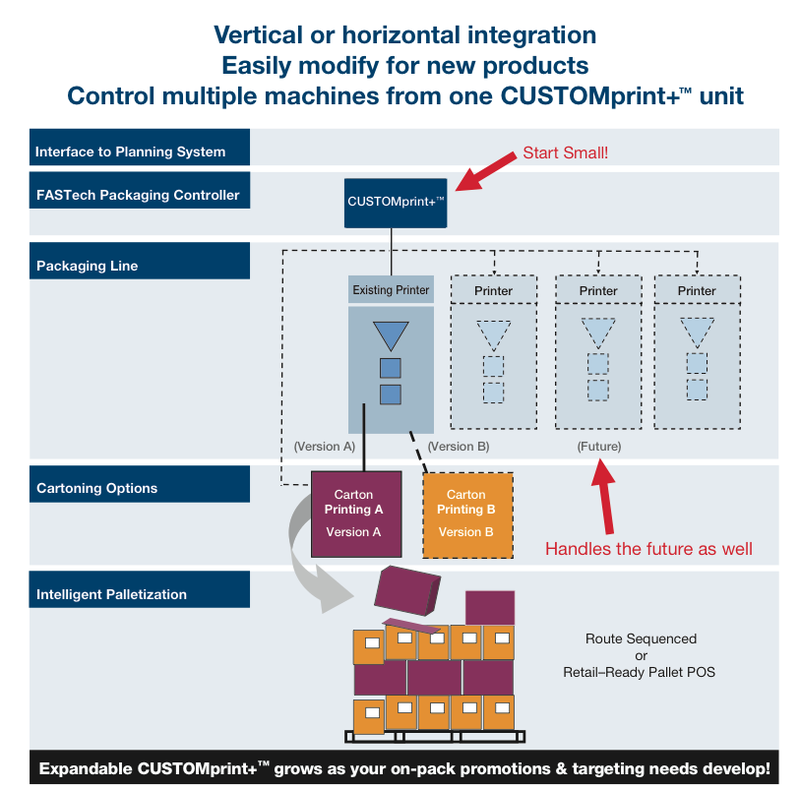 FASTechnology Group promises substantial marketing benefits from CUSTOMprint+, a new software integration product that fully integrates short-run, highly customized package printing with mobile and social media to enable individually targeted retail marketing initiatives. 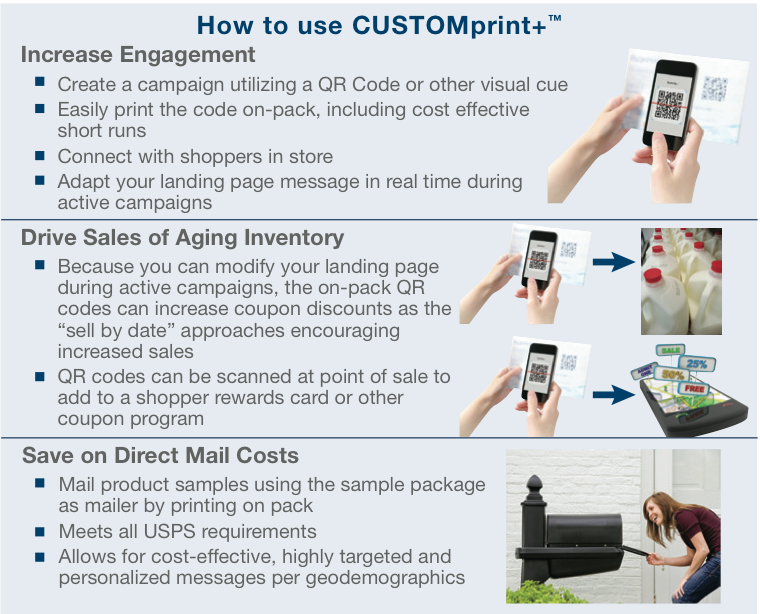 It even allows for on-pack printing for highly targeted sampling campaigns. Retail and e-commerce marketing are converging. Many consumers will shop and/or gather coupons online, then go to a bricks-and-mortar retail outlet to make their purchase. Others will go to a retail outlet to see products hands-on then shop online for a better price. 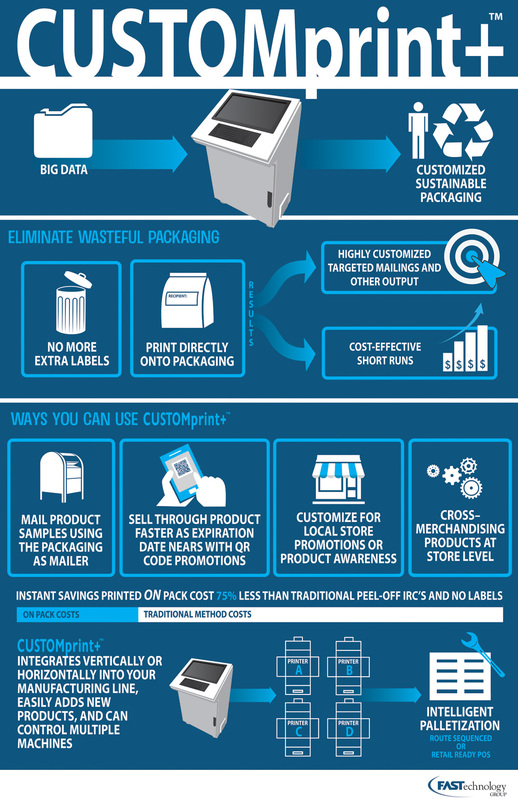 Packaging and mobile media are now coordinated, with mobile devices scanning product information and delivering coupons whose values vary with the shelf-age of the product, store-specific promotional opportunities, customer loyalty rewards and other customized marketing initiatives. Consumer affinities for neighborhood localization & sense of community are on the rise. Community pride extends into the market place. Local produce is preferred over imported produce. Locally manufactured products sustain higher pricing. Adverse economic conditions have produced a more price sensitive shopper who increasingly relies on coupons. Retailers are issuing coupons at the point of sale. The coupons available online are virtually unlimited. 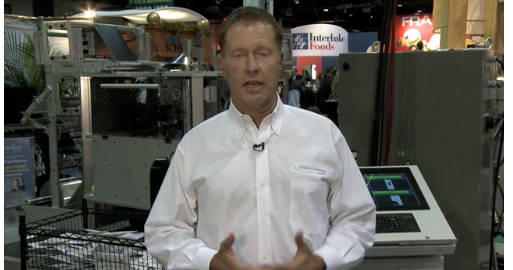 The commercial printing industry has a technology that could migrate to packaging and have a sizable impact. It’s called personalization, and it rests on a three-legged stool of variable printing, affinity marketing, and automated route sequencing.